Michelle understands the emotional difficulties inherent in the divorce process and believes that part of her job is to eliminate your anxiety about the unknown and explain the possible outcomes, as well as the law. Michelle is there to help you stay informed, prepared and ready to address the important legal issues you face. Her wealth of experience in both family and criminal law allows Michelle to give her clients the tools they need to make informed and intelligent decisions about their future and the future of their families. Michelle prides herself on negotiating settlements for her clients in difficult situations and spends the time to ensure that her clients stay focused on the important legal issues while helping them navigate through an emotionally draining time in their lives. “I am committed to making sure each client is heard, prepared and protected,” she said. Michelle is proud to have represented military service members and their spouses across Oregon and Washington. Her experience working for military families encompasses all family law issues. After graduating from Lewis & Clark Law School, Michelle started a solo practice where she focused exclusively on family law for three years. During this time she developed solid skills in the areas of discovery, settlement negotiations, international and interstate issues, and litigation. In 2006 Michelle started at the St. Andrew Legal Clinic (SALC), where she provided legal assistance to those in our community with limited financial resources. Less than a year after going to work for SALC, she was promoted to branch manager. In that capacity, she managed five attorneys and four staff in addition to maintaining a full-time case load. 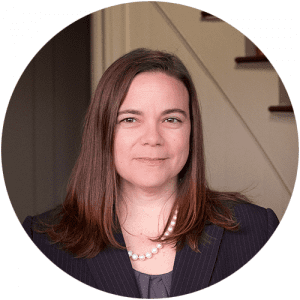 Michelle is an active member of the Washington State Bar, the Washington State Bar Family Law Section, the Clark County Bar Association, the Oregon State Bar and the Oregon State Bar Family Law Section. Michelle is involved in the Hough Elementary School PTSA and the Discovery Middle School PTSA and volunteers as a member of the 2015 Clark County Mock Trial Tournament Committee. Michelle and SK&H are members of the Clark County Historical Society, the Clark County Chamber of Commerce and Identity Clark County. Michelle enjoys spending time with her children, hiking, reading, and traveling. “I was very impressed with Michelle Prosser from the first time I met with her regarding my divorce. She is very knowledgeable and efficient. She is calm and kind in her mannerisms, and showed concern for me throughout the divorce process. She kept me informed and answered my questions promptly. In court she was very professional, authoritative, and unflappable. I very much enjoyed working with her and would not hesitate to recommend her to others.” -M.
“Thank you for helping us to further define our will and estate plans; we are very pleased to have this task behind us now. You made the procedure very easy for us; we are most grateful to you and all who assisted in the process.” F. & K. M.